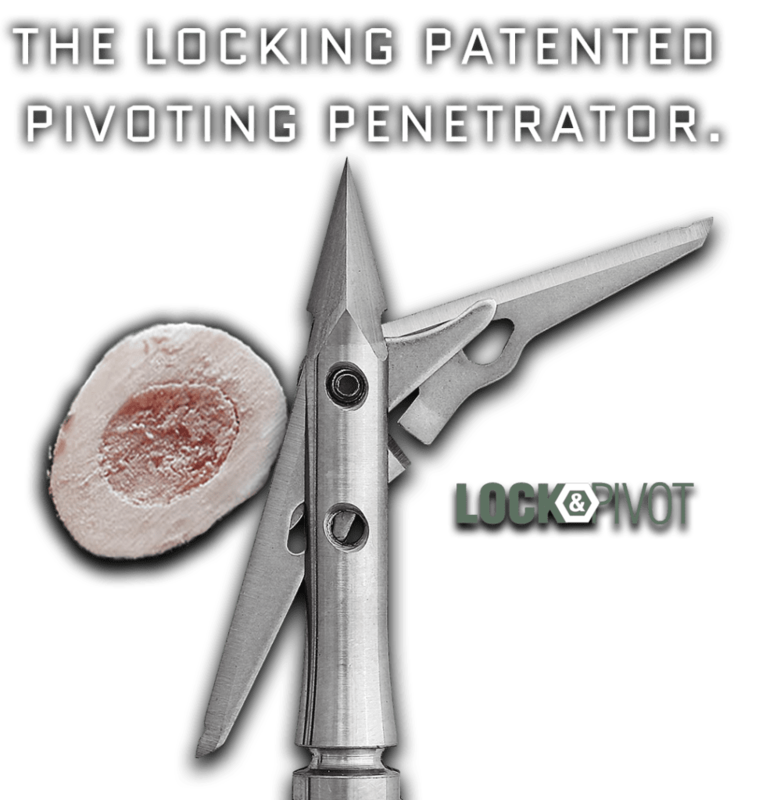 Patented Lock-and-Pivot blades lock open then pivot around bone to maximize penetration and eliminate deflections. Buy direct. Pay purely for performance. Stretch-Cut blade effect stretches the hide while cutting for a larger-than-blade wound diameter. 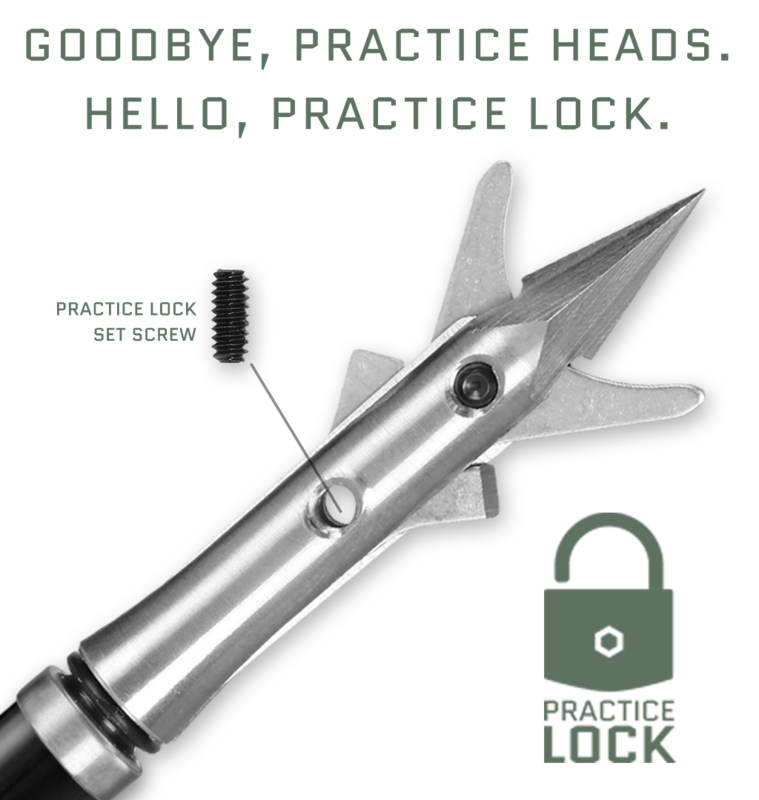 Patented Practice Lock allows practice with hunting heads without dulling blades for maximum confidence. 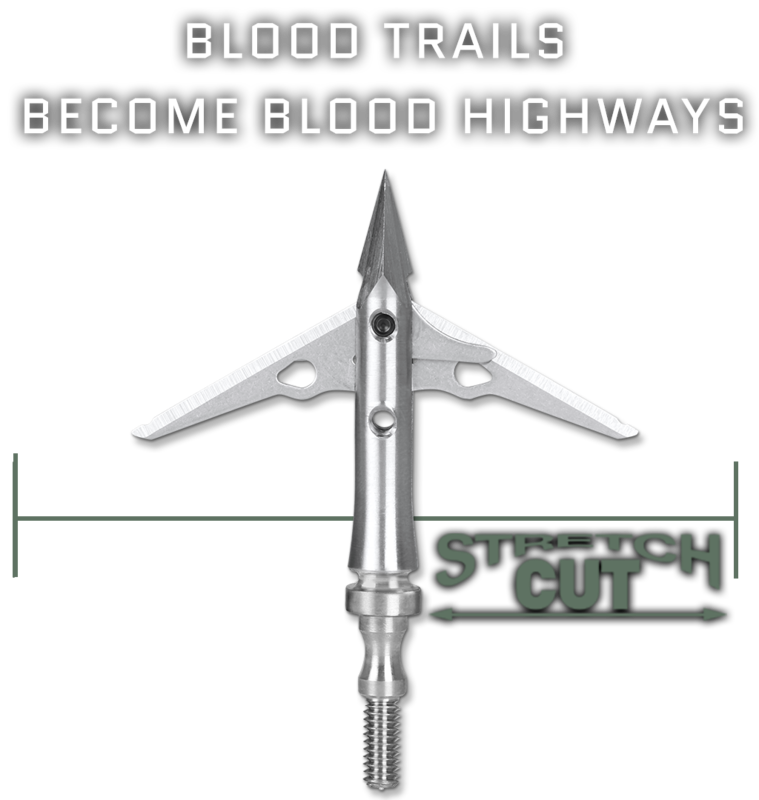 SEVR Broadheads were born to cut a huge fatal swath through big game and the broadhead market as you know it. Straight Through It means we’ve cut the middleman out of the equation and only sell direct to you on this Web Site. It means our heads cut bigger, cut deeper, and fly straighter than anything out there. It means your satisfaction is guaranteed, period. A rear-deploying design is the standard for big cuts, quick kills and huge blood trails. 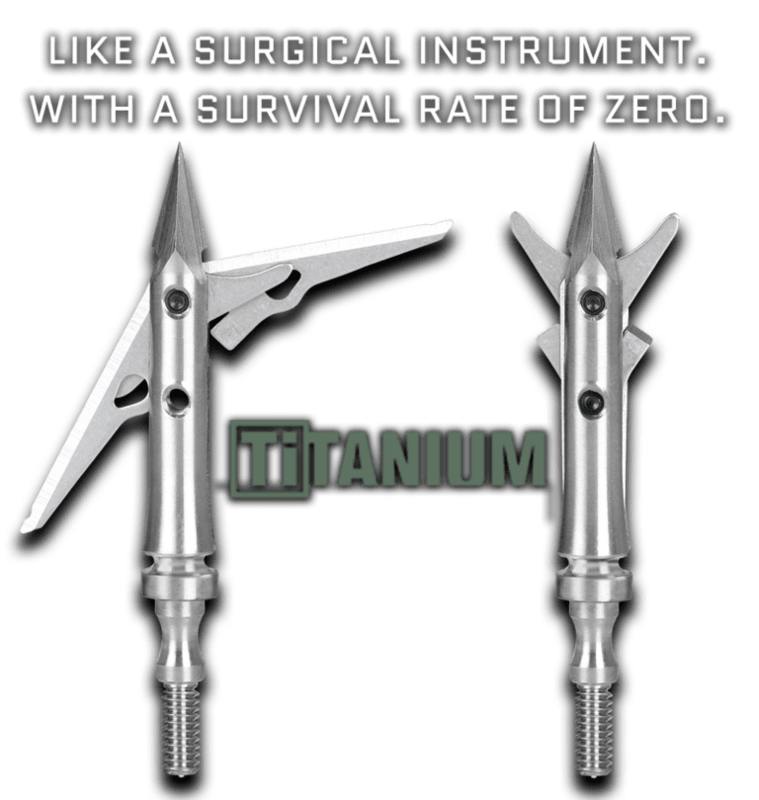 SEVR broadheads add a patented difference. 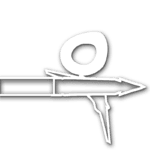 Our Lock-and-PivotTM function locks the blades together while allowing them to pivot around bone for the straightest and most-efficient penetration possible. Hunt with more confidence than ever. 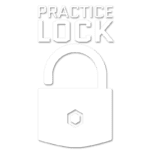 Now you can verify actual arrow point-of-impact by simply engaging the practice lock set screw included with each SEVR broadhead to practice without dulling or damaging blades. Extra large entry and exit wounds are a product of SEVR’s 2.1” rear-deploying blades. At impact, the Stretch-CutTM blade effect folds the animal’s hide over the blades while slicing to cut holes that far exceed the cutting diameter. That means more terminal damage and more blood on the ground. It starts with good engineering and precision manufacturing, and ends with superior accuracy. 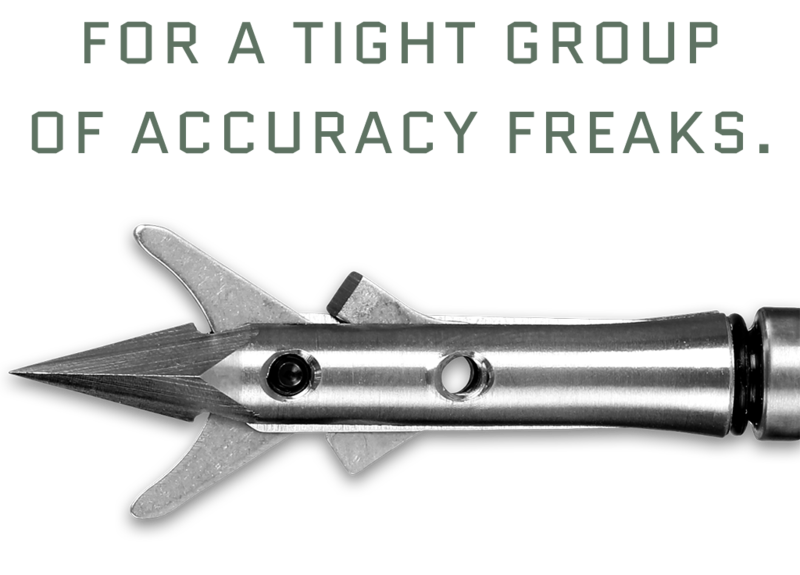 From the threads of the ferrule to the straight-spinning tip, SEVR broadheads are crafted for ultimate performance. And they’re field-point accurate because the fully-contained blade system creates a more aerodynamic profile than anything out there. Our locking, 420-grade surgical stainless blades are scary sharp, and they stay that way. 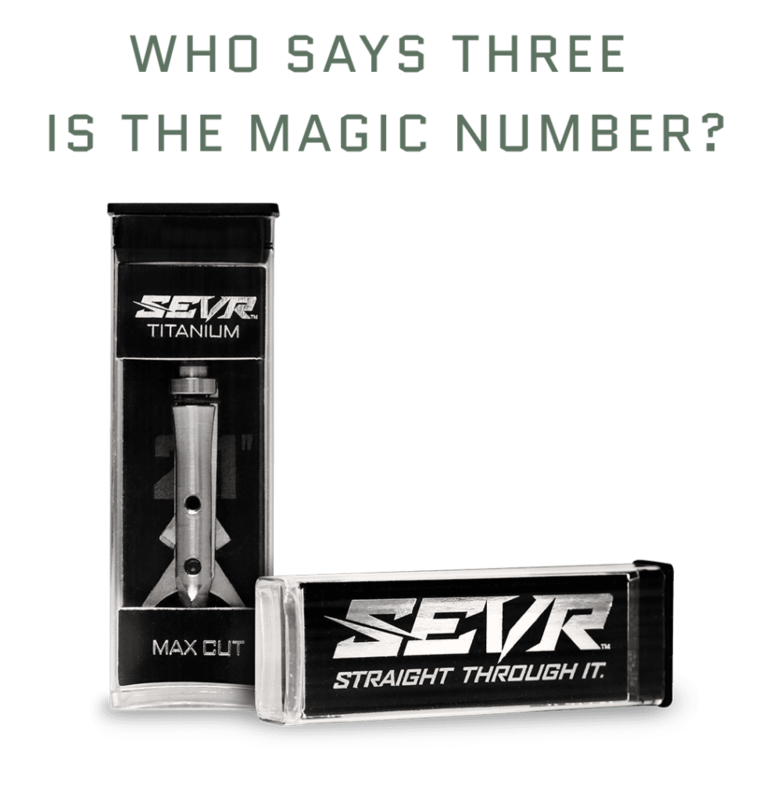 With a higher strength-to-weight ratio than steel, SEVR’s one-piece Titanium ferrules are processed and sharpened for superior strength and durability. Available in any quantity you need. 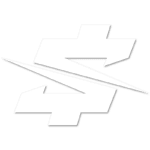 SEVR broadheads are sold individually to meet your individual demands.